Two owner, clean accident free Car Fax Report, and a Southern Vehicle its whole life, and the first owner had it 17 years. Also, as a bonus, this one comes with all Service Records printed on the Car Fax Report, no guessing if its been serviced, you have the records. Only about 25% of vehicles for sale come with these service records, its a bonus. Loaded with all the equipment, sunroof, quad rear bucket seats, leather, roof rack, alloy wheels, and more. 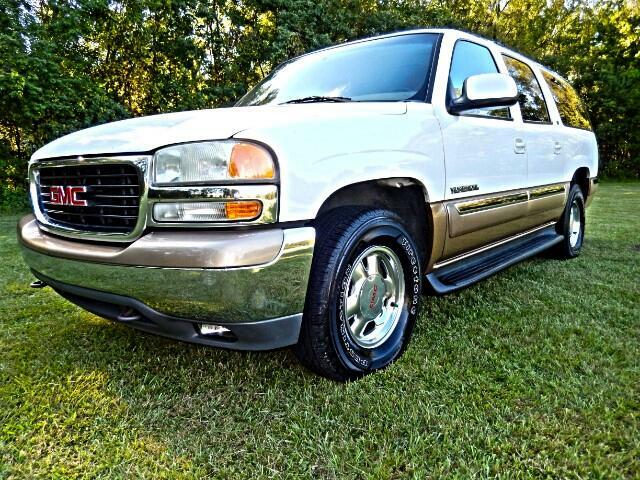 This GMC is in exceptional condition, and I will rate it close to near perfect condition, I know that's bold statement for an eleven year old vehicle, but I'm calling it like I see it, it's that nice. When a vehicle gets over five years old only 3% will be in above average condition, when they get 10 years old, only 2% will be in above average condition, and when they get 20 years old their almost extinct. No dents, do dings, no stains, no scuffs, and a non smokers vehicle as well. This will be one of the cleanest nineteen year old vehicle you will find anywhere. Sure you can find others claiming to be less money, the internet is full of them, and they have the greatest deal on earth, only to travel 400 miles and discover its not what they said. I hear this two to three times a month, customers driving long distances, and wasted a day because they believed what they were told, CONDITION means everything. Before you drive long distance come see, it cost nothing to look. You will be impressed. Message: Thought you might be interested in this 2000 GMC Yukon XL.